The smartest Referee Watch in the whole world! Designed with referees for referees. 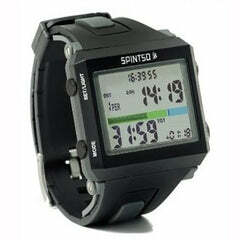 The SPRINTSO Referee Watch 2S is a fully programable ref watch. Before the match, you program the number of periods, minutes of playing time and period break time. By pressing the start button you automaticly start all four time functions who work together in one system. During the match you only use the start/stop button. A strong vibrating alarm reminds you of every start and stop occassion. 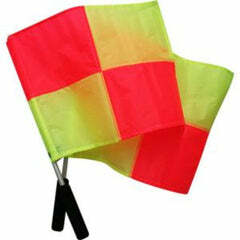 Spintso Referee Watch2S is valid for 100m/10ATM. Spintso always recommends you to use a certified watch company to change the battery to be sure it will be right done so the warranty will be valid and the watch still handles 10ATM. What does water resistant mean? 30m, 50m, 100m & 200m? 30m is the same as 3 atmospheres. It does not mean that the watch can go to 30meters below water. It means it is splash resistant.The watch can handle drops of water. 50m (5ATM) means the watch van handle short periods in water (shower). 100m (10ATM) means you can swim with it, but not dive.